This deliciously indulgent dessert from Xavier Boyer uses rich dark chocolate in three different preparations. There will be plenty of ice cream left over for another occasion and it will keep in the freezer for up to one month if kept in a sealed container. Have a look at our how to temper chocolate guide for the top chocolate disc, which can then be decorated with edible gold leaf or transfers if desired. 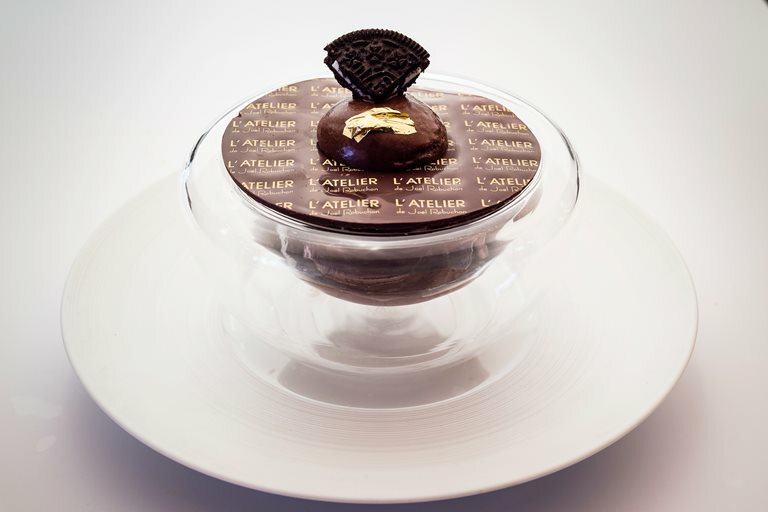 Xavier Boyer worked closely with Joël Robuchon to make the L’Atelier restaurants a success. His style showcases fresh, seasonal, clean flavours, beautiful textures and his playful creativity.